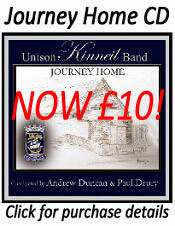 After many long months of fundraising, preparation and extra rehearsals UNISON Kinneil Band travelled down South to Cheltenham to compete in the First Section National Championships of Great Britain on Sunday 20th September 2015. The band qualified for the national finals for the third year in a row, this time as runners-up at the Scottish Championships that were held back in March. The test piece was the technically challenging Kenneth Hesketh composition – ‘The Alchymist’s Journal’ . Under the direction of Musical Director Craig Anderson, we were drawn, an unlucky for some, number 13 slot in the playing proceedings from a field of 17 Championship winning bands from all over the country. The band gave an exciting and musically astute performance of this difficult set piece with some outstanding individual contributions from our ‘end chair’ players. 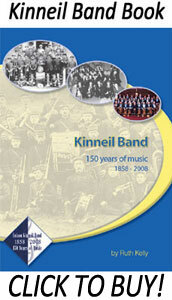 Once the results were collated it was revealed that Kinneil achieved a very credible 5th place. Although the band felt slightly disappointed not to have gained a podium place we took many positives and a fabulous weekend of happy memories back up the long road to Bo’ness! This entry was posted on Thursday, September 24th, 2015 and is filed under General News, Results. You can follow any responses to this entry through RSS 2.0. Both comments and pings are currently closed.